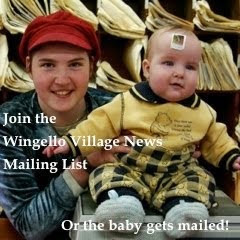 Wingello Village News for January 2012 is out. Click the picture to subscribe! 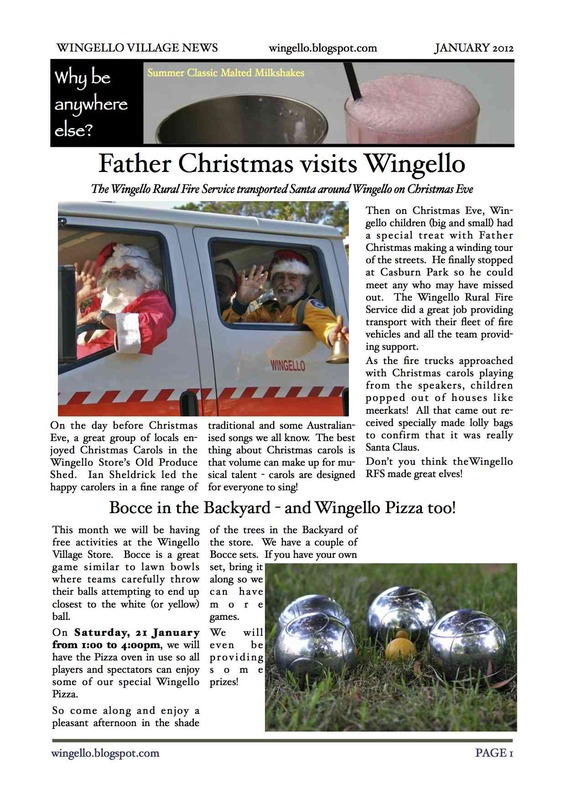 The Wingello Village Store is in the centre of Wingello, New South Wales. We are the Entrance to the NSW Southern Highlands. Friday: 7:30am to 7:30pm - Restaurant till late! The Un Named Cafe is a great place to relax and enjoy simply good food. We have refined our menu over the last nine years to bring a superb selection of food using the best ingredients at very reasonable prices. 2009-2014. Watermark theme. Powered by Blogger.